In the morning of Jan 31, 2018, at 6.05 a.m. officers of the water police Brunsbüttel found that the "Reymar" apparently was lying too deep in the water, and carried out a freeboard control. The suspicion was confirmed, and the trade association for transport and traffic management issued a sailing ban. The draught was exceeded by eleven centimeters which corresponded to an overload of about 122 metric tons. 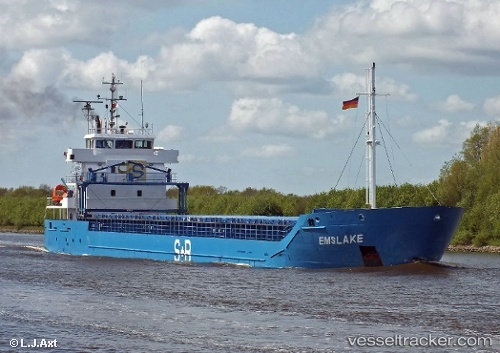 The ship was enroute from Bilbao to Tornio with a cargo of 5.000 tons lime stone. An administrative offense notification was made against the captain and he had to pay a safety fine. The ship was released again at 7.45 p.m. and headed to Kiel, where it berthed in the East Shore Port on Feb 1 at 2.15 a.m. It sailed again on Feb 2 at 5.30 p.m. after the draught was corrected, and resumed the voyage to Tornio, ETA Feb 6, 5 p.m.